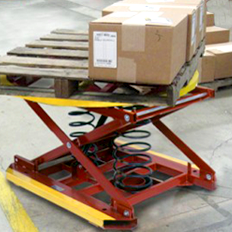 With our line of pallet pals, portable lifts, and lift tables, your warehousing staff no longer has to bend over to lift heavier items. Instead, the inventory comes directly to them – with the push of a button. 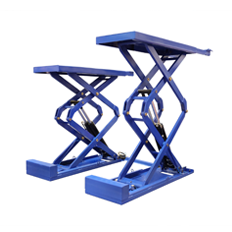 Our lift tables allow your team to easily raise or lower inventory to whatever level is most conducive to their working styles – whether they choose to sit or stand when handling heavy merchandise. Sitting still for long stretches is bad for the back. And standing for countless hours is killer on the feet. 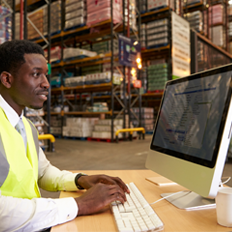 But your warehouse team can extract greater productivity (with less strain) using our line of ergonomic standing desks and adjustable work stations. Interested in one of our products? Give us a call at 510-491-0297 or click below to get started with a free quote now! Give us a call at 510-491-0297 or get a free quote now.